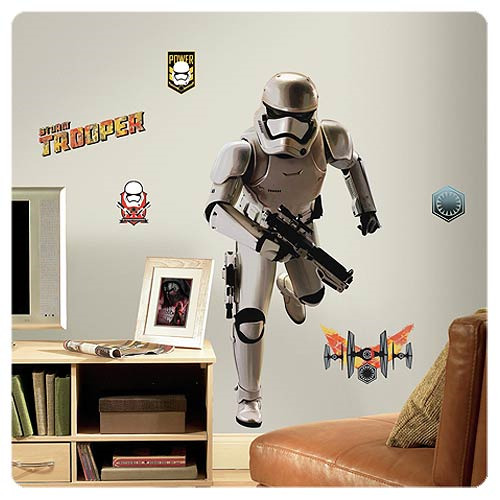 Stay loyal to the Empire with this Star Wars VII Storm Trooper P&S Giant Wall Decal from RoomMates Decor. Assembling is easy. Just peel and stick each pre-cut piece to the wall and watch the Star Wars VII Storm Trooper being built before your eyes! This decal set comes with ten wall stickers and like other RoomMates wall decals is repositionable, removable, and reusable! Measures 44 1/2-inches tall x 22 1/4-inches wide when complete. Ages 13 and up.